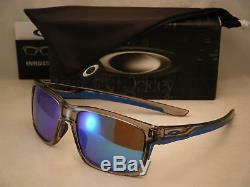 Oakley Mainlink Grey Ink with Sapphire Iridium Lens (oo9264-03). 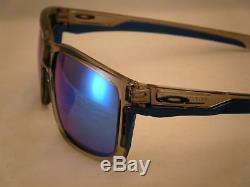 The Mainlink is a new squared shaped frame from Oakley. It has a nice clean look with rubber coated straight temples for an easy fit. 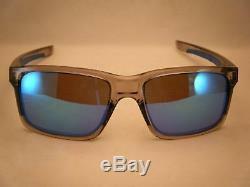 It comes in an awesome selection of frame colors and lenses including many of Oakley's new Prizm lens series. 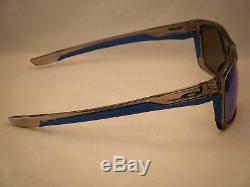 The item "Oakley Mainlink Grey Ink w Sapphire Iridium Lens (oo9264-03)" is in sale since Saturday, June 30, 2018. This item is in the category "Clothing, Shoes & Accessories\Men's Accessories\Sunglasses & Sunglasses Accessories\Sunglasses". The seller is "isellshades" and is located in 36608. This item can be shipped to United States, Canada, United Kingdom, Denmark, Romania, Slovakia, Bulgaria, Czech republic, Finland, Hungary, Latvia, Lithuania, Malta, Estonia, Australia, Greece, Portugal, Cyprus, Slovenia, Japan, China, Sweden, South Korea, Indonesia, Taiwan, South africa, Thailand, Belgium, France, Hong Kong, Ireland, Netherlands, Poland, Spain, Italy, Germany, Austria, Bahamas, Israel, Mexico, New Zealand, Philippines, Singapore, Switzerland, Norway, Saudi arabia, Ukraine, United arab emirates, Qatar, Kuwait, Bahrain, Croatia, Malaysia, Brazil, Chile, Colombia, Costa rica, Dominican republic, Panama, Trinidad and tobago, Guatemala, El salvador, Honduras, Jamaica, Antigua and barbuda, Aruba, Belize, Dominica, Grenada, Saint kitts and nevis, Saint lucia, Montserrat, Turks and caicos islands, Barbados, Bangladesh, Bermuda, Brunei darussalam, Bolivia, Ecuador, Egypt, French guiana, Guernsey, Gibraltar, Guadeloupe, Iceland, Jersey, Jordan, Cambodia, Cayman islands, Liechtenstein, Sri lanka, Luxembourg, Monaco, Macao, Martinique, Maldives, Nicaragua, Oman, Peru, Pakistan, Paraguay, Reunion, Viet nam, Uruguay.